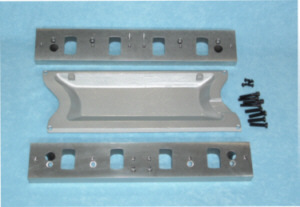 add $12.00 if using with Holley Blower for the crank spacer. 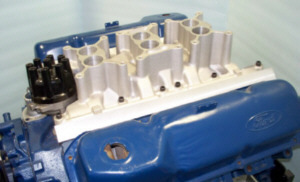 The 302 Windsor style intake and the 351 Cleveland 2V Head ports are the same width and the same height, they just have different corners. 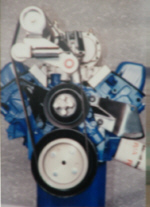 With that in mind you might see how to put a Holley 174 Blower or a 302 Fuel injection system on your Cleveland Engine. AP-06C allows that combination to come to life. 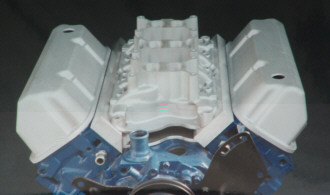 Here is another view of what a 3 deuce set up will look like on your Cleveland engine.